Whether you're on a big trip or in the big city, you always keep a finger on the pulse of current developments. And you have your own individual style. 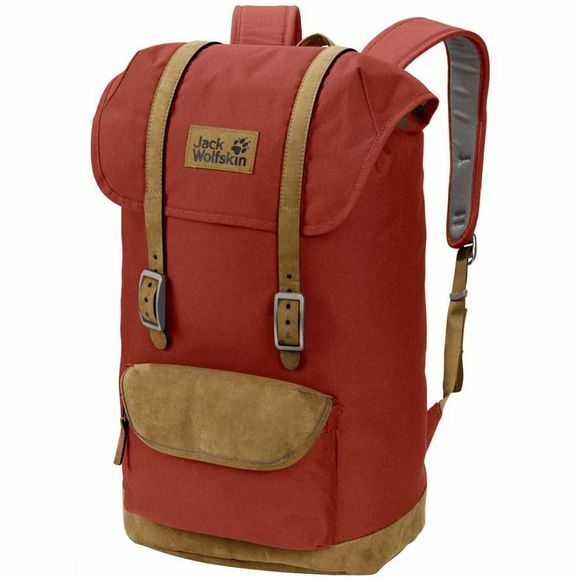 Which makes the Earlham Pack from Jack Wolfskin the perfect lifestyle match–a cool, retro-style pack in robust, recycled fabric with synthetic leather detailing. You can access the contents of the main compartment quickly when you're on the move, thanks to the magnetic buckles. And there is space for for smaller items in the front pocket.